When makeup artist Bobbi Brown created 10 simple brown-based lipsticks at her New Jersey kitchen table in 1991 — launching the natural look of Bobbi Brown Essentials at a time when stark contours and shiny red lips were in vogue — little did she know she was on the path to building a billion-dollar eponymous beauty brand. Today, after leaving the Bobbi Brown brand in 2016, and with nine beauty and wellness books under her belt, the serial entrepreneur is at it again, catching the front edge of the beauty-from-within trend by launching Evolution_18, a line of wellness products. Through it all, Brown has remained real, down to earth, and comfortable in her own skin, embracing aging as the natural march of time and something to wear with pride, not battle with a cadre of expensive beauty products. We cozied up with Brown to get her take on aging, beauty, and what’s next. First of all, how can you possibly be 61?! What’s your philosophy on aging? Don’t look in the mirror a lot. Seriously. I mean it. I look in the morning and then I go about my day. I don’t obsess. Has your approach to style changed as you’ve matured? I think I look my best when my hair’s in a ponytail and I’m in a loose linen shirt and jeans. I’ve always stuck to a classic style — I keep my nails short with red polish and wear barely any makeup. It’s curious for a beauty titan to prefer a low-key makeup look. My approach to beauty trends has always been to translate them to help women feel natural but more confident. My philosophy has always been straightforward: Women want to look and feel like themselves, only prettier and more confident. A natural, healthy look has always been at the core of everything I’ve created. Health is beauty, and that translates to healthy looking. When I was part of the Bobbi Brown brand, I was constantly teaching women how to use makeup to look healthier — how to make your skin look even and get a glow on your cheek. It’s the realization of health’s impact on how you look as well as how you feel. If you’re not sleeping right or eating right and you’re not happy, how can you feel beautiful? Health and wellness is not something new. I have always believed the better you take care of yourself on the inside, the better you look on the outside. Happiness really is the best cosmetic for beauty — if you feel comfortable then you feel happy. What’s your personal beauty regimen like? I wear so much less makeup than I used to. I just think I look much better with less, so I use very clean makeup. It gives a different aesthetic, I think. I like the more natural, lighter makeup approach. I just use face oil and really good moisturizer, black mascara, and something brown to fill my brows. Speaking of filling. Many of us as we age struggle with our lips looking thinner. Do you use any special lip products we should know about? Well, there’s no product out there that’s going to plump your lips. None. It’s all just marketing and hype. The key is hydration. If you hydrate from the inside, your lips are going to look their best. Honestly, I don’t even wear lipstick any more — just peppermint gloss. Is there anything you’ve battled on the beauty front as you’ve gotten older? Thinning hair. I used to have thick, shiny hair. Now I have thin hair, and I don’t like it. It’s why I wanted one of my first Evolution_18 products to be a hair-, skin-, and nails-strengthening supplement. My natural hair is also 100 percent white. Would I love to be the person who looks amazing with short, white hair at 80? Yes, but I don’t think I would be. I really like the way I look with long, dark hair. Let’s just say I have an amazing colorist. I do. I’m 61 and committed to being the best 61-year-old I can be. I believe in eating organic and natural, and I work out. I do SoulCycle two to three days a week and work with a trainer three days a week. And I mix it up. I do squats and I do boxing. What I’m in need of is yoga and meditation. I’ve had chronic digestive issues and tried everything. My newest functional doctor says I need to relax and meditate to give my body a chance to relax. I do go to a chiropractor who has an emotional approach, releasing things and emotions out of the body. And I go to a guy who does touchpoint on the nerves to help you be pain free. He does acupuncture, but he’s figured out this special approach and it works for me. I’m very open to alternative medicine and a holistic approach. How did you come up with the idea to launch Evolution_18? I’ve always truly believed that how you look and how you feel are intertwined. The idea for Evoltuion_18 as a wellness brand came after I left Bobbi Brown in October 2016, when I was promoting my book Beauty From the Inside Out — that beauty is 75 percent inside wellness and 25 percent external. Do your Evolution_18 products stem from your own health and beauty needs? Absolutely. And they’re issues women always have, stemming from lifestyle and mood. My first product, Afternoon Chocolate, is a great example. Every afternoon, I’d go into a slump and end up having afternoon coffee, then I’d be so exhausted at dinner and I’d eat the bread. The scientists I work with on Evolution_18 formulas probably thought I was crazy, but I wanted a protein with some fat and fiber that I can make a hot cocoa out of or drink cold that keeps you away from the bread basket. Afternoon Chocolate supercharges your afternoon and boosts your brain function. Then I eat a good dinner — lean protein and lots of veggies — but I always want something sweet. That’s how we came up with Overnight Vanilla, a creamy vanilla restorative formula with collagen, hyaluronic acid, and coconut oil to help increase the skin’s natural hydration and elasticity, and magnesium — so taken before bed it calms you down, and it’s only 60 calories. Then, in my ever-searching quest for good digestion, we came up with the Probiotic Quick Melts — pro- and prebiotic single-hit packets, like a small Pixy Stix, that taste like lemon cake batter and has 10 billion live cultures. It’s an instant way to get both. Our fourth product is Strengthen, the dietary supplement for hair, skin, and nails. 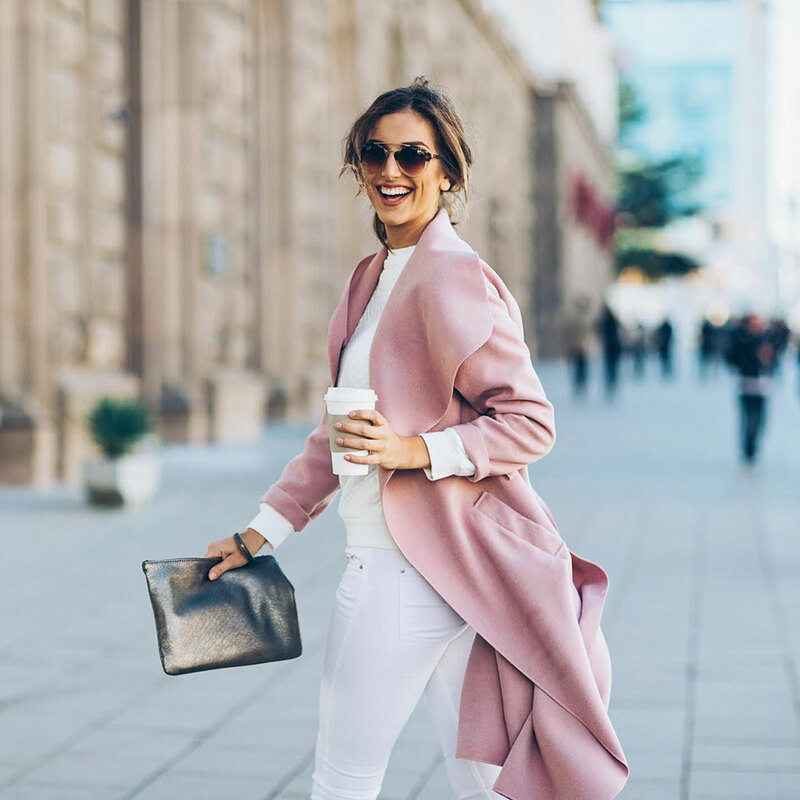 You’ve had a busy year launching Evolution_18, JustBobbi.com, and reimagining the boutique hotel experience with The George in Montclair, New Jersey, with your husband. Do you plan on slowing down? Ha, I’m not done yet. I have new stuff brewing. I’m just learning to really do it in a different way. I used to work five long days in the city for the brand, then I started working from my studio two days a week, and now I have a cool office in Montclair with cool young people. I wake up, do my exercise, check email, then call the office. I’ve finally been able to figure out how to really enjoy my lifestyle and pretty much still get things done. Any final words to live by? Just my mantra: Stop obsessing about your flaws. Focus on what you do like. Wear blush. Move your body every day. Be nice. Help someone. Highlight the positive. Try a new food. Put cucumber in your water. Put a little coconut oil in your hair. Master the smoky eye. Shop Evolution_18 at evolution18.com. Dig into more of what Bobbi Brown loves at justbobbi.com.